The Henley Herald has been researching outdoor swimming pools in the local area after running a Facebook Poll in July for 1 week which saw 1,500 votes on the question “Would you like to see an outdoor swimming pool and kids splash pool in Henley?” with the result 93% Yes and 7% No. A proposal outlining the vision, objectives, specification, possible locations, management and funding has been submitted to Henley Town Council and will be discussed at the Recreations & Amenities Committee Meeting tomorrow (Tuesday 11 September) starting at 7.30pm at Henley Town Hall. We would welcome the support of the public at this meeting and hope that this proposal will be considered seriously by the Councillors. If you are unable to attend the meeting, please leave your comments below (both for and against) so that we can show these to Council members. The recommendation from the meeting will be published on Wednesday. 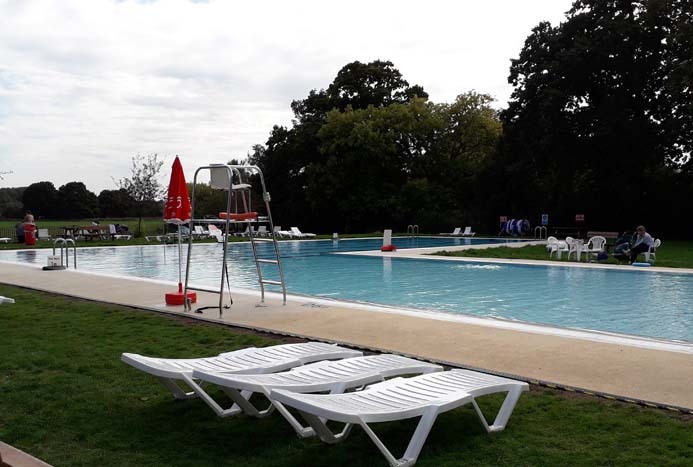 I am very much in favour of this outdoor pool, and even more so for it to be open all year, as long as the hours cater for those who have to commute to/from London for work. Amazing idea. I would definitely support it. We so need an outside pool in Henley for all , all the year around, not just private club members. Healthy,keeping fit, getting your vitamin D, community swim , what’s there not to like or support. This is an excellent idea and I fully support it. The location will be important though and needs careful consideration. What a great idea. I think this is something that Henley really needs and would prove very popular with both locals and visitors! This would be a great additional amenity for the town. A swimming pool and children’s splash area would be truly welcomed by all in our house. I’ve been asking the council for a splash park since my daughter was born in 2008. It would bring people in to Henley, positively increase foot fall and potentially restore some heart to our beloved HOT! Yes an outdoor pool for use all the year round swimming is an excellent idea and I support it 100%!! It assists everyone (young and old) to keep fit and get plenty of fresh air. It would be well used for sure. Yes please!! The sooner the better!! This is a brilliant proposal, I think it would be well supported. I hope to come tonight. I would love to see this happen, sadly I can’t make the meeting tonight but will hopefully hear good news from it.